The Aeris certified DTW-200D provides device OEM’s most reliable network experience in smallest form factor. Aeris Communications, which owns and operates the only cellular network designed and built exclusively for machine-to-machine (M2M) communications, announced today the certification of AnyDATA’s DTW-200D on the Aeris Network. Together, Aeris and AnyDATA, a leader in the quality design and manufacture of high-performance wireless devices for network operators and OEMs worldwide, will provide device OEM’s with the most reliable network experience in the world’s smallest M2M form factor. The partnership will allow OEM’s the ability to reduce their overall product footprint while providing the reliability, flexibility and control their machines demand from a cellular network. In addition to its compact size, energy efficiency and affordability, the AnyDATA DTW modules reduce development cycles and approval process for many device OEMs. “We are excited to expand our M2M Ecosystem to include AnyDATA. They are a trusted name for enabling wireless devices and have engineered and designed an exceptional product,” says Mark Cratsenburg, Vice President, Sales & Marketing at Aeris Communications. Built from the ground up, Aeris Communications owns and operates the largest North American cellular network designed exclusively for machines. This enables Aeris Communications to deliver the reliability, flexibility, control, and efficiencies that machines demand. From telematics to medical devices to remote machines, Aeris’ customers enjoy solutions tuned for high performance and mission-critical reliability. 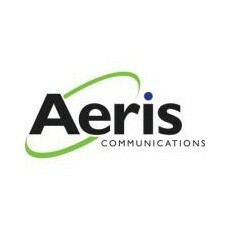 Aeris Communications is more than just a network provider. We encourage our customers to use machine-to-machine technology in unique and innovative ways. We make it our mission to understand our customers’ present and future goals in order to deliver intelligent, M2M solutions. For more information, visit us at www.aeris.com. 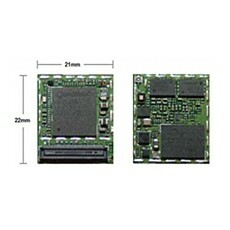 AnyDATA Corporation (www.anydata.com), headquartered in Irvine, CA, USA, is a global leader in the quality design and manufacture of high-performance wireless devices including tablets, smartphones, modules, and modems. A one-stop solution, AnyDATA provides a full range of device services—design, development, testing, certification, and manufacture. With over 17 years of experience in wireless connectivity, AnyDATA helps network operators and major brands deliver stylish, reliable, differentiated devices to consumers worldwide. AnyDATA products have been certified by 60 operators in 45 countries.